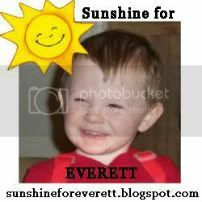 Sunshine For Everett: Your Support Is Working!!!!! I just got the most amazing phone call from Heather!! Everett's blood work came back today and, while there's no sign of significant improvement, there's also no sign of decline. 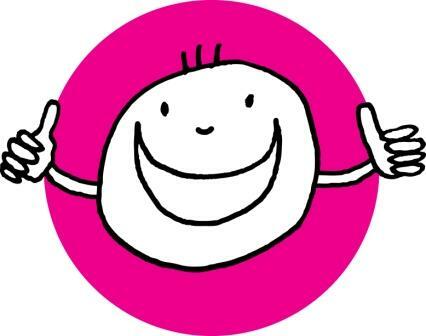 Which means---the diuretics are working! His doctors said that since his body is working well enough on its own, with just the help of drugs, that he no longer has to endure dialysis!!! Better yet, since Everett is functioning on his own without the aid of machines, he may be released soon---within a week!! We are dancing for joy over here!! Can you believe it! All your positive thoughts and prayers are working!!! Heather's good news came with more information about Ev's condition. Doctors say it could be up to a year before they can completely determine the long-term damage of Everett's kidneys. However, because he's responding so well to treatment, they strongly feel that a transplant won't be warranted. Worst case scenario would be that Everett has problems with high blood pressure or that he has some issues with his kidneys in the future. However, both problems can be treated with medication. And after all the bad news, this is the kind of news we humbly accept. 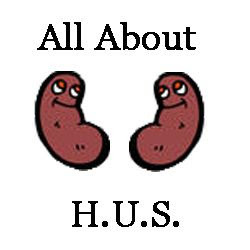 Also, it was finally determined that the cause of the HUS was due to a bacteria found in unpasteurized milk products. While Everett didn't drink or ingest any products like those, doctors say it most likely came from someone else experiencing the normal side effects of that bacteria (diarrhea) who did not wash their hands and spread the bacteria to a surface that Everett did come into contact with. Since there has been an outbreak of that particular bacteria in the region of California where the family lives, it could have been anyone they know. A very strict hand-washing policy has been instituted, in both the home and the business, so this nasty little bugger won't make its way into their house again!! Over the next week, doctors will be watching for more toxins in his urine, since now he's really just releasing built-fluid from the last few days when dialysis didn't go so well. Once his body begins releasing those toxins naturally through his urine, and his appetite increases, Everett will be cleared to go home. This is the news we've been waiting for!! Thank you all so much for your support! I will keep you all updated daily as we progress through this next week. Please pray for a hungry boy who pees a lot!! !